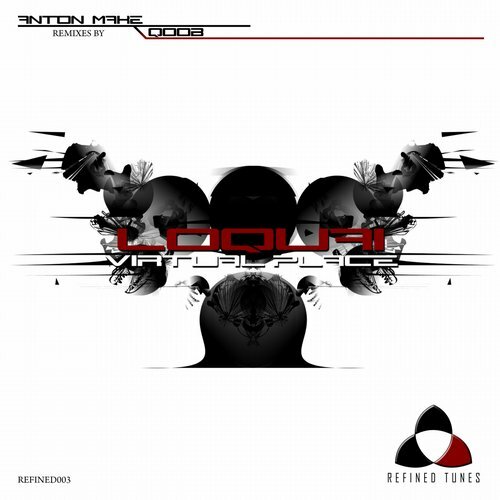 The third release on Refined Tunes finds label Loquai returning to the label for a new single entitled ‘Virtual Place’. The Refined boss has appeared on all three of the labels releases and appears to be using his imprint for some of his strongest and most unique material. ‘Virtual Place’ is the first of 2016 and comes alongside two excellent remixes from Anton MAKe and Qoob. When we last heard from Refined when Loquai presented the breakbeat production ‘Ghost’. On ‘Virtual Place’ we see him going back to his progressive house roots with great results. Beginning with a spacious groove and playful melody the track presents a lovely vibe early on. A growling underbelly adds great contrast to the vibrant bells, before soft, angelic pads descend over the framework. The main break might be its finest moment with a clean and serene vibe emanating some strong emotive qualities. The smooth effortless build is fitting and makes for a subtle but very powerful conclusion. Beautiful work from Loquai. The two remixes provided from Anton MAKe and Qoob also offer really nice alternatives to the original. First up Russian producer Anton MAKe makes his label debut and puts a fuller more esoteric spin on the track with warmer atmospherics and a gorgeous effects storyboard. The lead piano motif shines here, particularly in the break, surrounded by a glowing atmosphere which paints a lovely sonic canvas. Gorgeous remix from Anton. The second and final interpretation finds Qoob making their label debut and taking the track into more driving territory. Again staying quite true to the main themes the duo add a new found energy to the piece, while doing some wonderful quirks on the vocal elements. The 10 minute plus running time looks long on paper but Qoob have crafted a proper journey with a variety of cool transitions and intriguing designs qualities. The main break makes for the wonkiest moment on the release with a phasing tonal theme creating the ultimate in dance floor tension. Monster remix from Qoob and a great start to 2016 for Loquai and Refined Tunes.